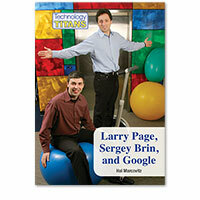 Larry Page and Sergey Brin revolutionized Internet searching when they developed Google. Today, billions of searches a day are conducted on the popular website. As Page and Brin move into the future they hope to use the enormous resources of Google to revolutionize travel, communications and even space exploration.